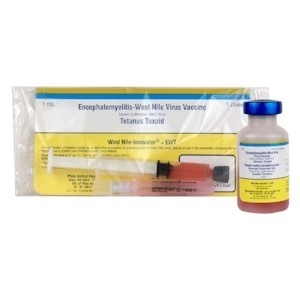 West Nile Innovator + EWT – equine West Nile Virus combination vaccine. 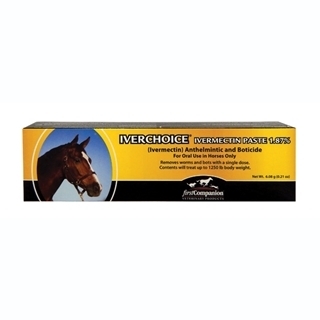 For the vaccination of healthy horses as an aid in the prevention of viremia caused by West Nile Virus, and as an aid in the prevention of equine encephalomyelitis due to Eastern and Western viruses, and tetanus. Dosage: 1 ml IM, repeat in 3-4 weeks. Revaccinate annually. 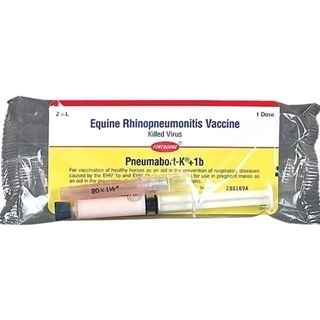 Pneumabort-K+1b is the only equine vaccine labeled to help prevent respiratory disease caused by equine herpesvirus (EHV)-1p and EHV-1b as well as for use in pregnant mares as an aid in the prevention of abortion due to EHV-1 infections. 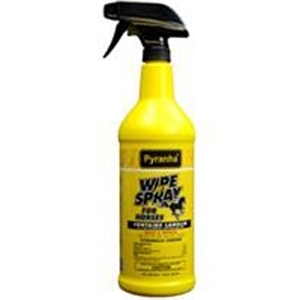 Pyranha Wipe 'N Spray for Horses, 32 oz. Pyranha Wipe N' Spray: Is a pyrethrum-based formula that is applied directly on the animal. This ready-to-use product provides fly protection and imparts a high shine to the hair when brushed out. 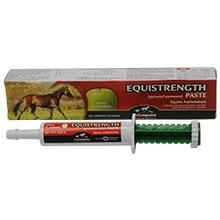 A favorite of show horse owners, effective protection results from only 2 ounces per head. Wipe N' Spray is citronella scented and contains lanolin as a coat conditioner. Kills and repels flies, mosquitoes and gnats.